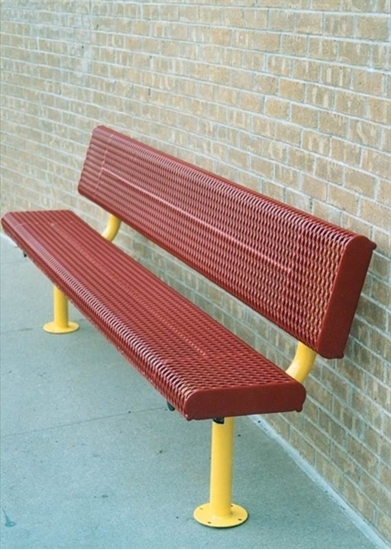 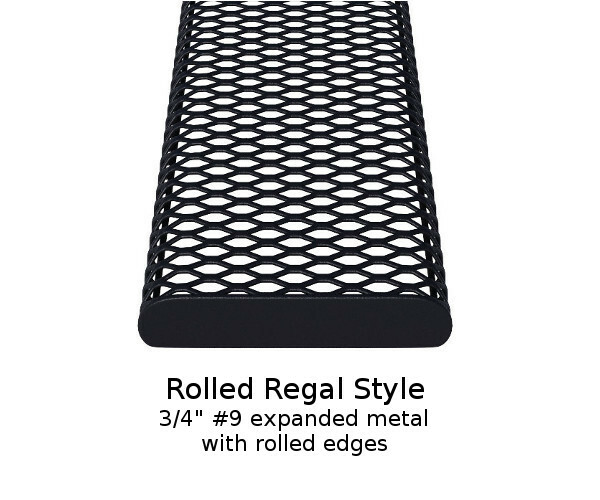 This 8 foot bench with back is made for life long durability because of it's plastic coated rolled 3/4" expanded metal. 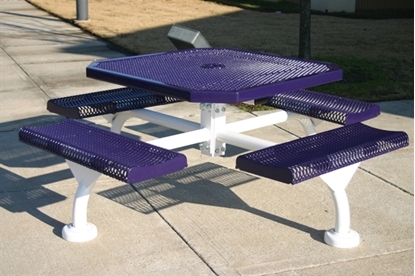 Rolled to a 3" radius edge, it also has extra bracing of 11/2 x 1/4 inch steel flats and 2 3/8" galvanized steel legs for support. 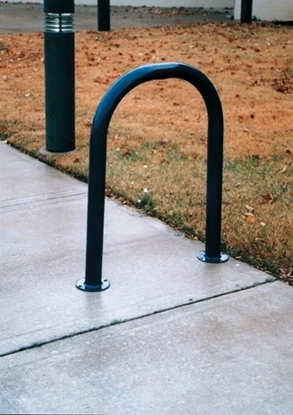 Surface Mount for resistance to vandalism. 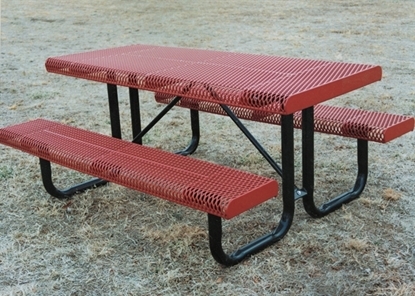 Commercial outdoor thermoplastic benches from Park Tables are made to last for years with little to no maintenance.